The 'Value of the Month' from Monday 3rd of March onwards is Helpfulness. I would love to hear how you have been helpful to someone. Maybe you have helped the adults in your class, classmates or at home. We have had a busy week in Nursery in our new science lab role play! We have dressed up in science coats and goggles and explored different textures, colours and light. On Wednesday we were treated to a visit by the "Animal man" who showed us his mini-beast friends! We were very brave, and lots of us held the snail, stick insect, millipede, hermit crab and tarantula! We also had time to stroke the snake and the rabbit! Next week we are looking forward to preparing for our trip to the Think Tank. We will be making predictions using our senses, about what we will see, hear, smell and touch. Today we were lucky enough to have a visit from Animals in Hands where the children had the opportunity to handle a variety of animals. The children were able to get close to many animals such as a snake, a lizard, a toad, a frog, a tortoise, a hermit crab, a hamster, a stick insect, a cockroach and a scorpion. 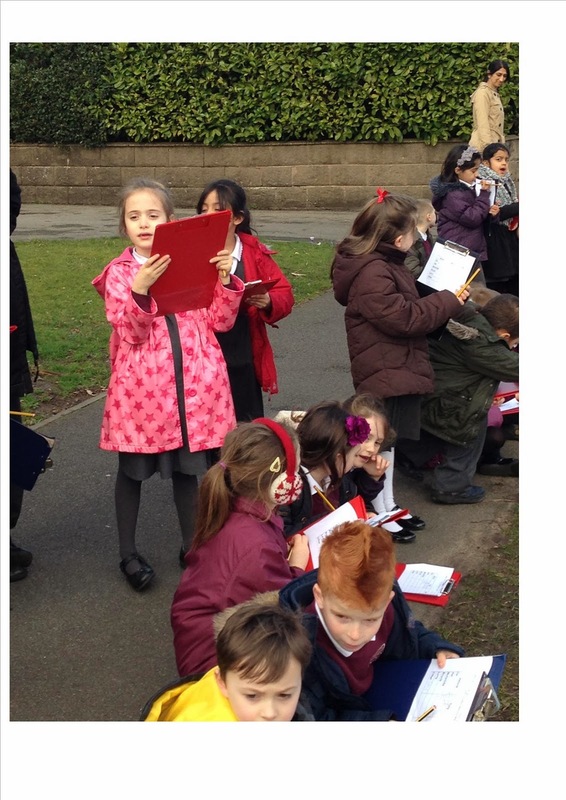 As part of our numeracy lessons this week, we started the week by undertaking a traffic survey to collect our data. We recorded the data using a tally chart and this week we will be producing bar charts, pictograms and Carroll diagrams using this data. Year 2 Archery and Problem Solving Extravaganza! Year 2 were lucky enough to enjoy a session of archery and team building games. We enjoyed ourselves and built on our aiming and problem solving skills. Over the past 6 weeks Chilcote Primary School has been visited, once a week, by Hayley Clarke (a tremendous dance coach). This was part of the free coaching service provided as part of the Baverstock School Sports Partnership. She has taught a mixed group of year 3 children over this period. They have all really enjoyed the sessions and have learnt lots of new moves. They mostly concentrated on a hip-hop street dance style routine. The sessions culminated in the children showing their parents the routine they had learnt. What a performance, they were absolutely brilliant!!! On Friday 14th February Blackwell Court visited Chilcote Primary School. They sent two instructors in order to give all of the children the opportunity to have a go at archery, as not all children get the chance to do this on the residential trips. 5 Poplar had a great time learning to shoot the arrows, despite the terrible weather conditions. A number of arrows managed to hit the targets, but only 1 bull was hit in 5 Poplar’s attempts. Not only did the children get to do archery, but they also got to do some team building and problem solving activities. The children had to transfer a hoop around themselves standing in a circle, when they were unable to break the circle. They also attempted the tower of Hanoi problem using tyres. A big thank you to the instructors from Blackewell Court for al of their efforts and for helping the children. On Thursday 13th February Chilcote Primary School represented the Baverstock Partnership in the Winter games Level 3 competition, after they won the level 2 sportshall atheltics competition earlier in the year. The event took place at the Nechells community centre in Birmingham. Chilcote were competing against 12 other schools. They competed in various different events, with each member of the squad taking part in 2 field events and 2 track events. Some of the events were; javelin, standing long jump, triple jump, chest push, speed bounce, relay, 2 lap relay, over under relay, obstacle relay, and 6 lap parluf. After putting in a tremendous effort the Chilcote athletics team finished in 6th place in Birmingham, which was a tremendous achievement, well done guys!!! On Wednesday 12th February Chilcote Primary School represented the Baverstock Partnership in the Winter games Level 3 competition, after they won the level 2 hockey competition earlier in the year. The event took place at the Futsal arena in Birmingham. Chilcote were in a group with 5 other schools. They played out all of their group matches and didn’t lose a single game. The team drew the first 4 games despite being on top in all of them they just couldn’t take their chances. In the final game they won 2v0, a result which meant they secured a place in the semi-finals. Unfortunately, they lost the semi-final 1v0 with the other team taking their only chance. Finally, the team played in the 3rd and 4th place play off. A great shot and goal won the game for Chilcote, so they won the Bronze medal and were crowned the 3rd best school in Birmingham for hockey. A great achievement by all of the team well done!!! On the 29.01.2014 the Chilcote basketball team (mixed) attended Baverstock secondary school for a basketball tournament against Bells Farm, Hollywood and many other teams. Our first two games were group games and winning them both meant that we qualified to play in the final against the winners of the other group. We played valiantly against Hollywood but in the end they were just too good for us on the day. In conclusion, we thoroughly enjoyed the tournament , would love to go again. And got some awesome medals! Thank you for reading. Bye Bye ICT; Hello Computing! From September 2014, ICT will be replaced by Computing. This change aims to equip children with the all problem-solving skills and knowledge of the digital world they and society will need. This is called Computational Thinking and is explained in the video above. Of course, children will still need to learn how to word process, create presentations and above all be safe using technology, but they will now also learn how to use computer code to create their own games and program robots, for example. Why not try a bit of coding yourself? You'll be surprised how easy it is. These two websites are lots of fun . . .
ROBO-BOOGIE Click on Code Mode and experiment. CODE.ORG The women and men behind some of world's most famous websites guide you through creating your own game programs. Other easy to understand coding sites can be found here. Are you a parent whose job involves Computing? Could you share your expertise with the children at Chilcote? We'd be delighted to hear from you - just click here. On Tuesday 11th February Year 5 went on a trip to Blakesley Hall as part of their topic work on Tudors. Even in despite of the weather, we had a great day looking around a timber framed Tudor hall. Whilst we were there, we learnt about what types of clothing Tudors wore, how a Tudor house was built (including why certain materials were used), what rooms we would expect to see in a Tudor home and how the items in their home could determine whether they were rich or poor. The children loved dressing up and learning new, fascinating facts. 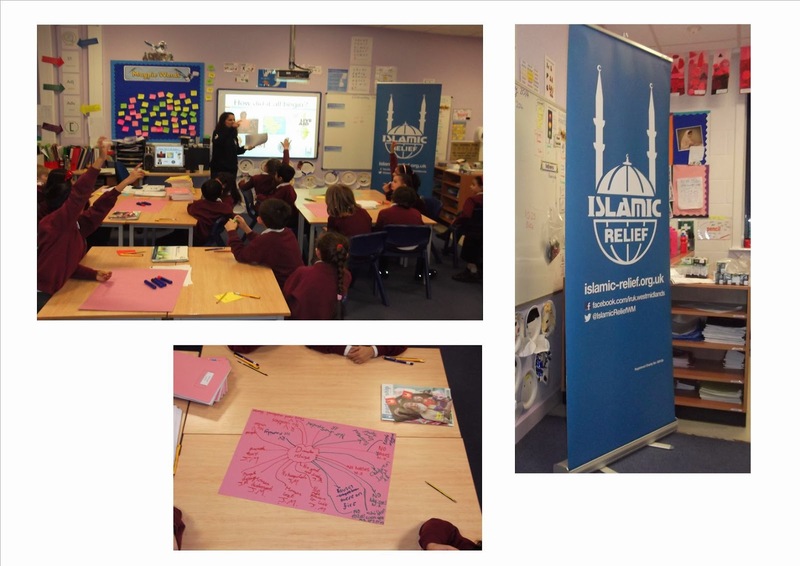 To finish off our Active Planet topic, where we have been investigating earthquakes, tsunamis and volcanoes, we had a visit from Yasmeen Ismail of Islamic Relief. She described the great work Islamic Relief does in supporting victims of disasters in more than 40 countries across the world. Did you know they will respond to any major disaster within 72 hours as part of their teamwork with the Disasters Emergency Committee? We considered the effects of devastating events such as earthquakes and floods and what the victims’ needs would be. Our experience of running our own Disaster Relief Centre certainly helped us to imagine what life in a disaster zone would be like. It was a thought-provoking end to a fascinating topic. 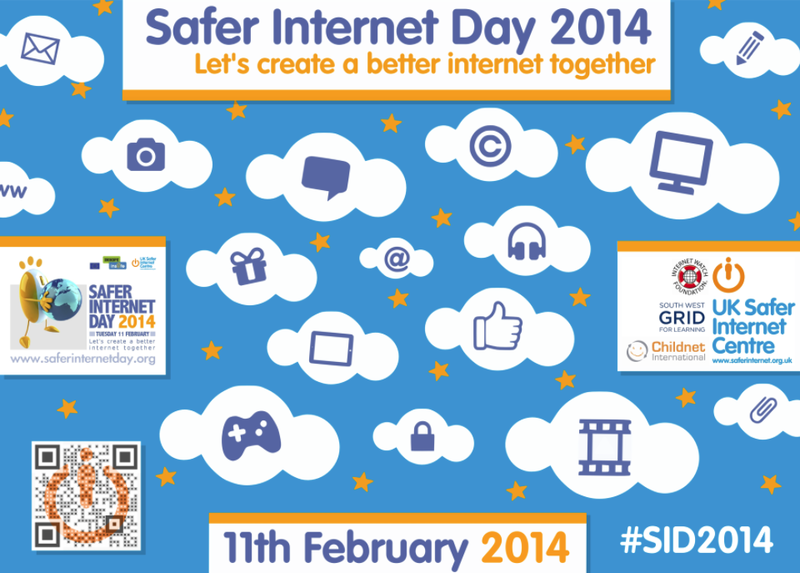 Today, along with schools all over the world, we all took part in Safer Internet Day. The day started with an assembly where the theme was ‘Let’s create a better internet together’. We participated in ‘Chilcote Search’ and saw how we are all part of the internet by pretending the whole school was a search engine. After that, we went back to our classes and enjoyed various activities. By the end of the day, we had all created an E-Safety poster put up at home, so we could help keep our families safe, too. We love the internet and we know how to be responsible digital citizens. PS Look out for the letter about the E-Safety for Parents evening on Tuesday 11th March from 7pm-8pm and don't forget to check out the E-Safety resources on the Chilcote website. Value of the Month - Patience. 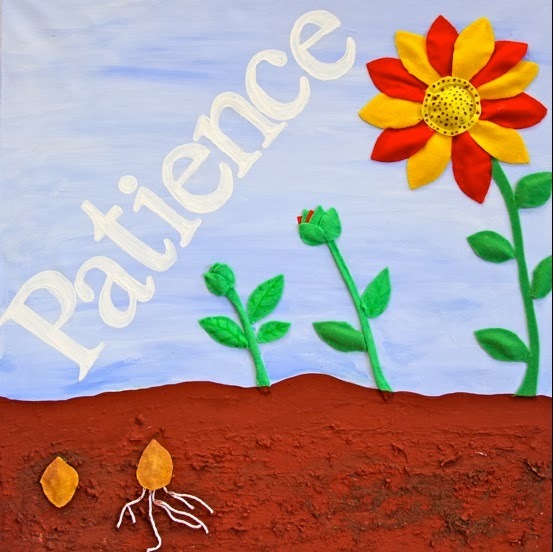 We are thinking about patience during February. Can you think of any moments when you have had to be patient? Many visitors at our recent Community iPad Afternoon requested a list of all the apps we had deployed on the school's iPads. Well, here it is. Just follow this link. 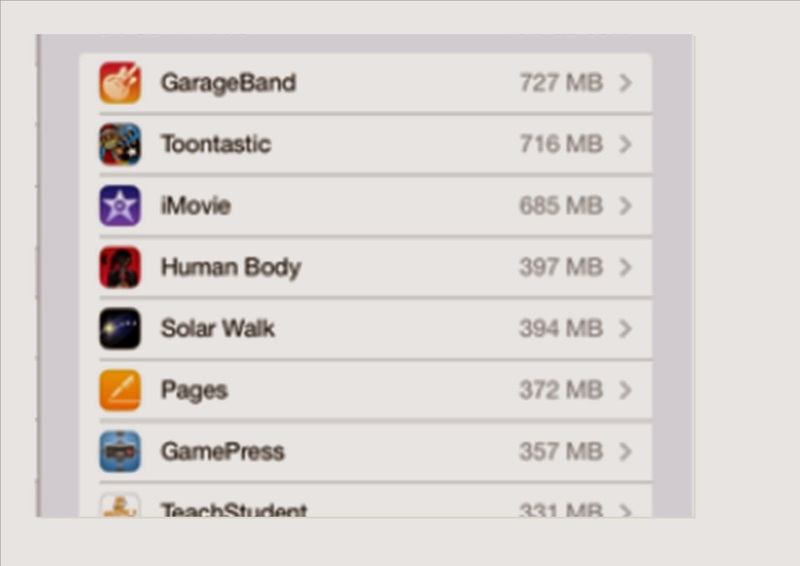 Then select Download. What do you like best about our playground? What electronics do you use for your lessons? They used Kindles® to read sometimes. What is the subject that most people like? Everyone’s favourite subject is PE! Why did you come to our school? They came to see what equipment we had in our playground, so that they could utilise our ideas to improve on their playground. “It’s great: your playground is so amazing; the huff and puff is my favourite!” – explained Zach, a child from St. Bernadette’s. The lessons that we do are exactly the same as yours, except we are a Catholic School. What’s the best thing in your school? 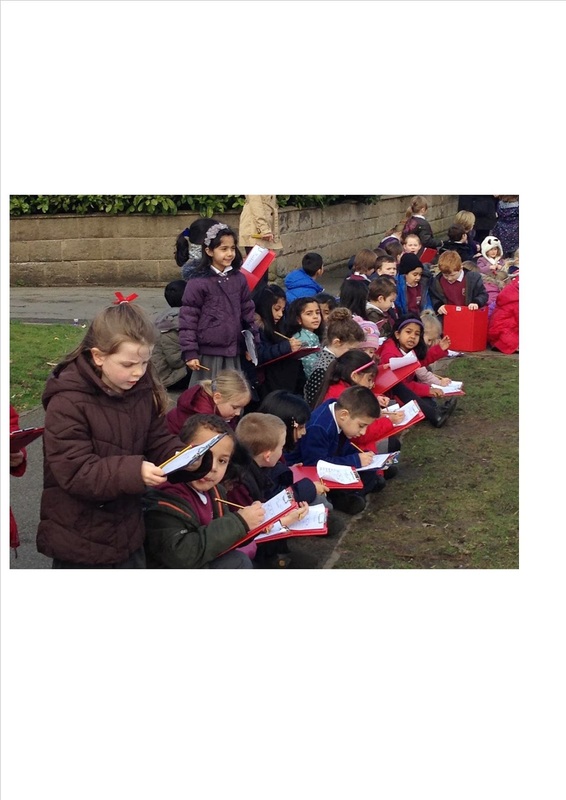 The best thing in our school is the ‘quiet area’ in our playground. In conclusion, St. Bernadettes School visited to sample parts of our playground. Also, they had a great time and thoroughly enjoyed their visit! Thank you, Councillors Jay and Zak. On Monday 4th February 2014, year 4 went on a fabulous trip to Symphony Hall and the new library in town. We walked to the train station and waited for the train to come. Then when the train arrived we jumped on. We arrived in town at 10:30 then we went towards Symphony Hall. We sat down at the front and listened to many different amazing young groups created by teens themselves. The musical styles included jazz, classical and soul. Some of the musicians talked to us about their instruments, too. After that we went back outside to walk to the new library. Then the two classes split up and went in different parts of the building. 4 Lime went to the kids’ reading section first, while 4 Maple were up on the big balcony with views all across Birmingham. In the kids’ section, there were lots of cushions and exciting books to read. On the balcony (51 metres high), there were lots of benches and pebbles on pathways, which were described as mazes. After a busy day, we started to head back to the train station again, we went back onto the train ready to walk back to school. Then we walked back to school very weary and tired, but happy. We got ready to go home and a great day was finished.